​Nguyen Minh Thanh was born in 1971 in Hanoi and in 1996 graduated from Vietnam University of Fine Arts. Now he is living and working in Dalat. 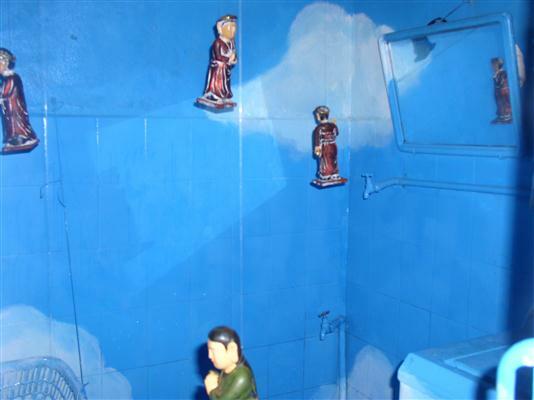 of Vietnamese contemporary art: Hanoi artists who were among the first to display their work internationally, and who significantly influenced the subsequent development of contemporary art in Hanoi. The work of Nguyen Minh Thanh, mainly in Chinese ink and watercolor on handmade Vietnamese dó paper, is marked by his use of what appears to be his own portrait in his meditative and spiritual explorations. Nguyen Minh Thanh’s work has been widely exhibited both nationally and internationally and is included in numerous public and private collections, including the National Art Gallery of Queensland, Brisbane, Australia, the Fukuoka Asian Art Museum, Japan, the World Bank Art Program, and Post Vidai collection of contemporary Vietnamese Art, Switzerland.